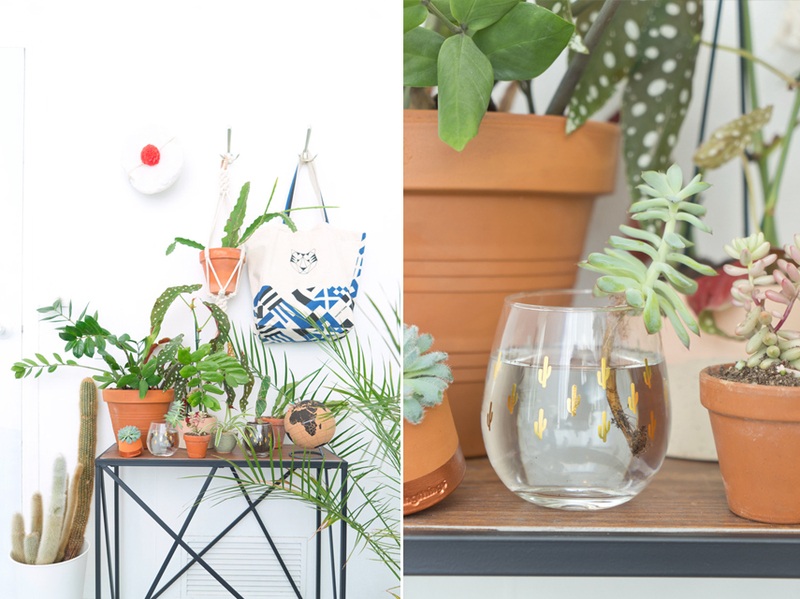 We do have quite a few things in common: We pursue an urban lifestyle, we have a soft spot for plants and botanical designs, and we love cosy, lived-in interiors. Teaming up with Urban Outfitters felt almost natural to us. 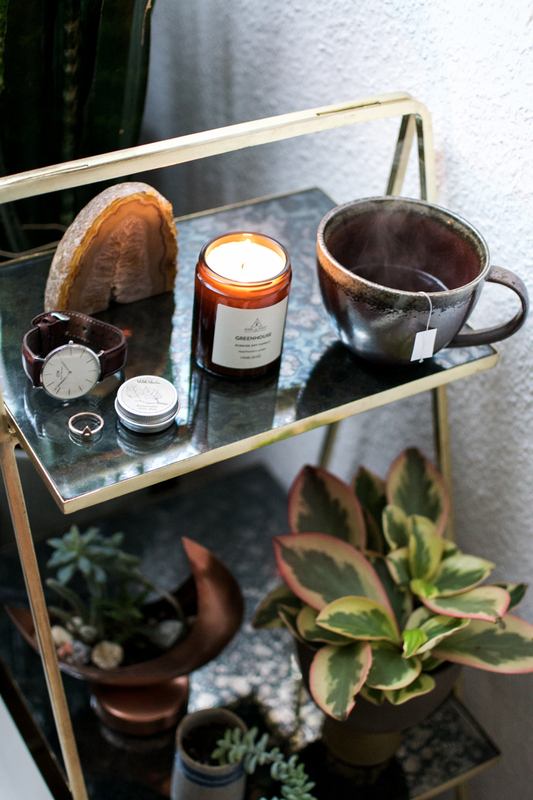 We made it our mutual mission to add a green spin to our cosy winter interior stylings. And we both tackled the task on two ends – in France and in Germany. 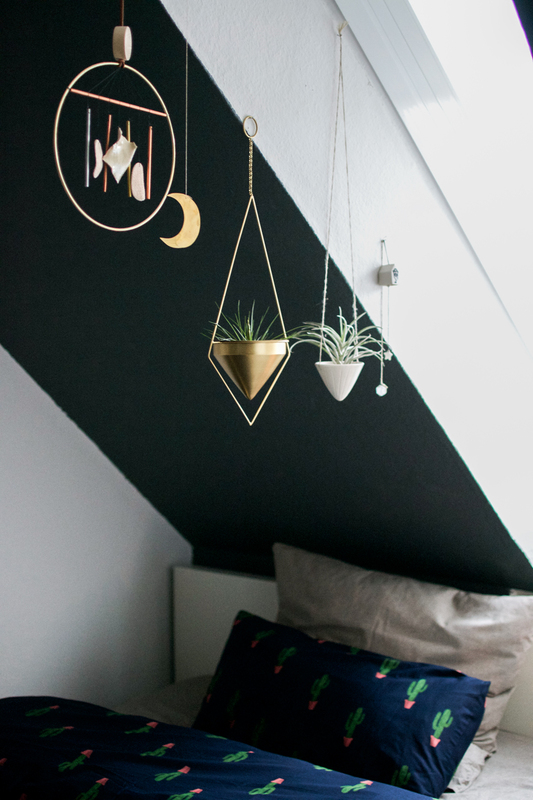 Those of you who follow our blogs JOELIX.com and Happy Interior Blog know that we have a distinctly different style – yet there is one common ground: our love for plants. 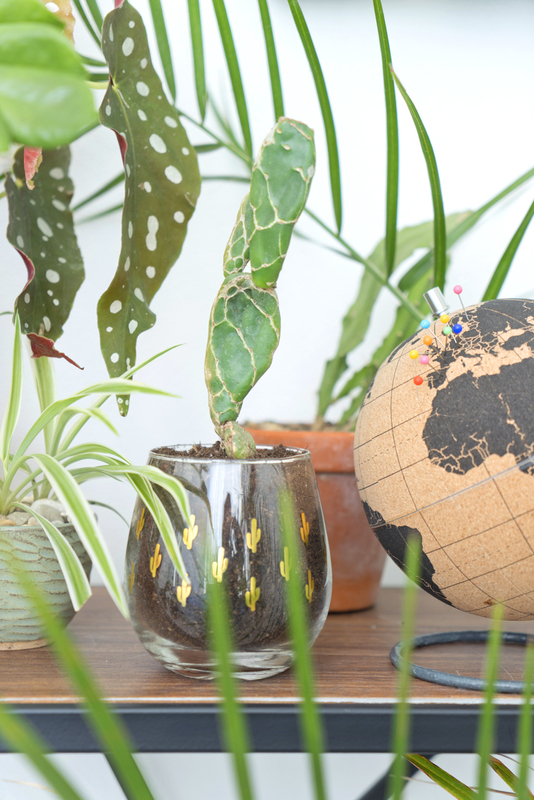 We both set off to a little botanical treasure hunt and scored quite a few beautiful home accessories that add a green twist to your home. See for yourself! 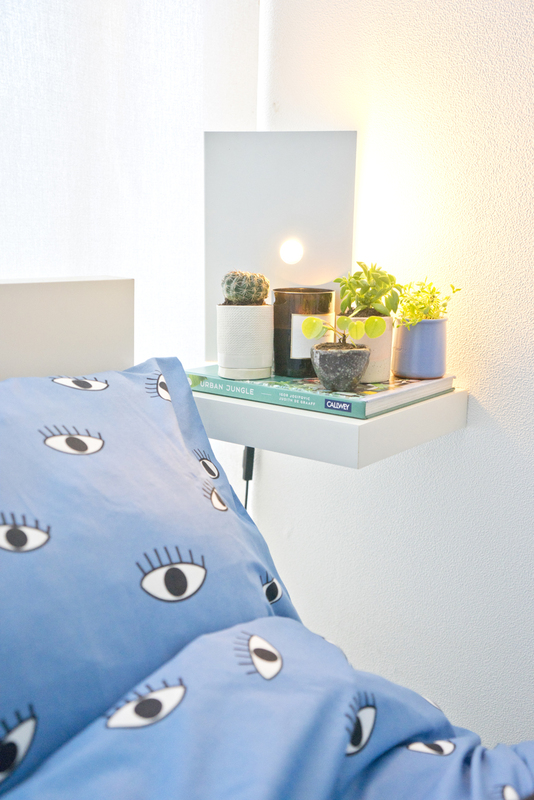 Igor transformed his cosy bedroom nook into a moody, soothing nest for quality me-time. 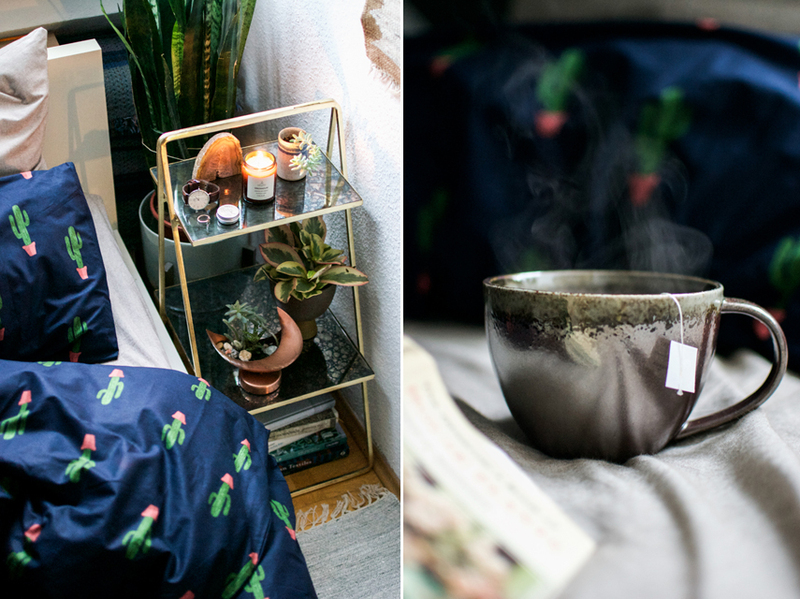 Here all senses are being addressed for maximum comfort: soft bedlinen with fun little cacti on them, a delicately scented candle, a banana silk rug, a freshly brewed tea and calming tunes from the vinyl player. 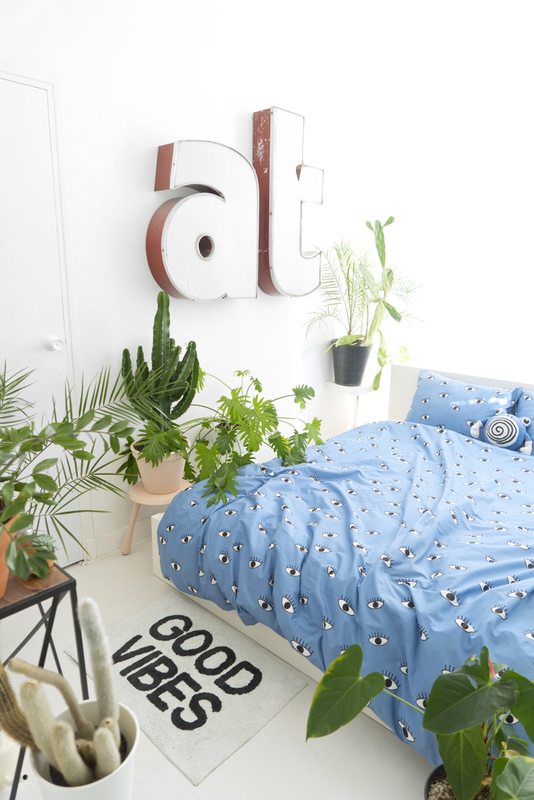 This place invites you to unwind, to focus on yourself, and to recharge your batteries – all in the company of the beloved houseplants of course! 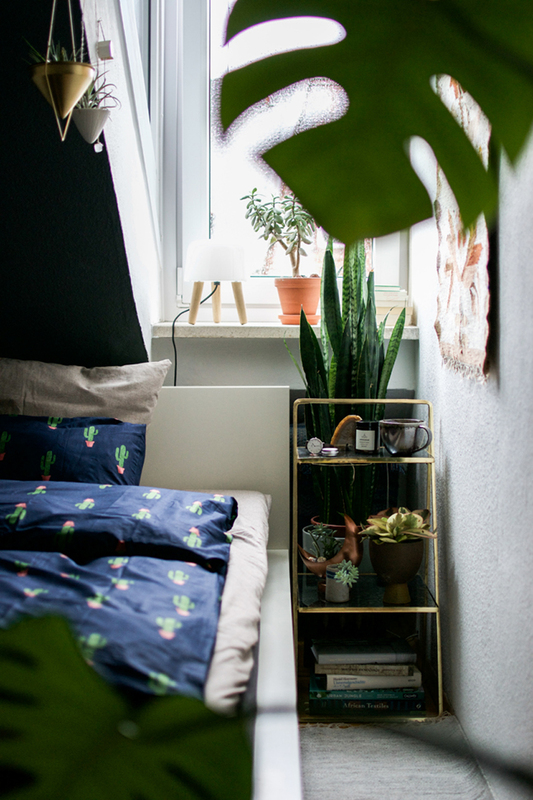 Judith’s guest room is no longer a simple winter refuge for her plants from the greenhouse, it is a botanical paradise with good vibes for the lucky visitors! Imagine sleeping over there! 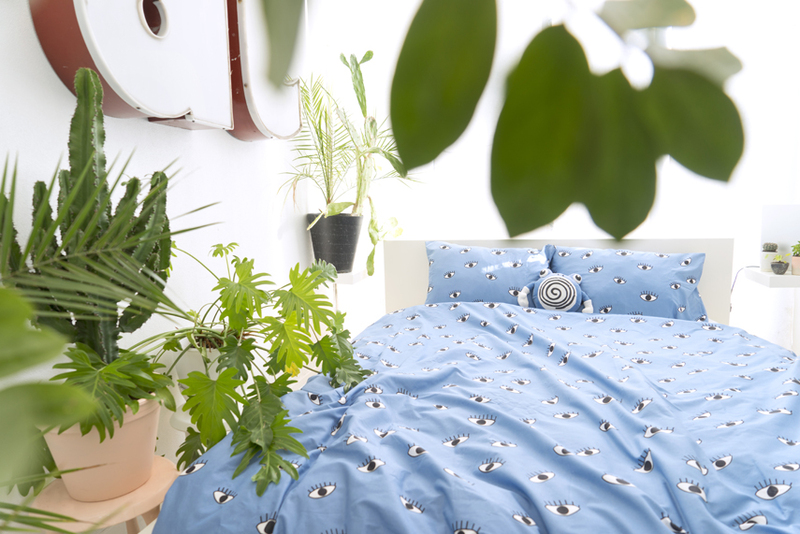 You will be guarded by hundreds of eyes on the fun bedding and you dozens of plants will keep you company. 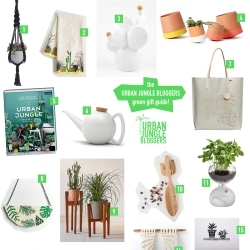 If you take your time and have a closer look you will discover lots of quirky details – little golden cacti on the tumblers that turned into planters, a cork globe to plan your next trip and the Urban Jungle book to inspire you to create your own urban jungle at home! 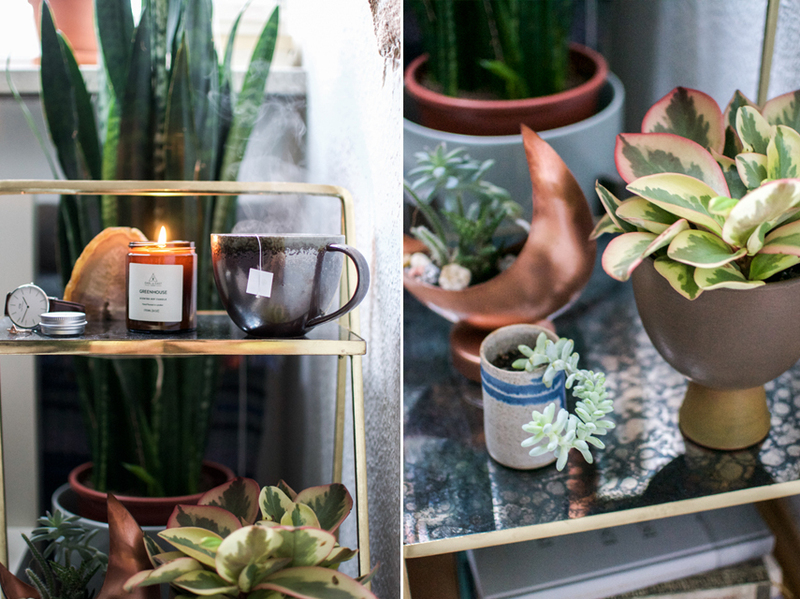 We hope this will inspire you to create your own cosy green corner and make the best of the cold and dark season! Happy decorating! 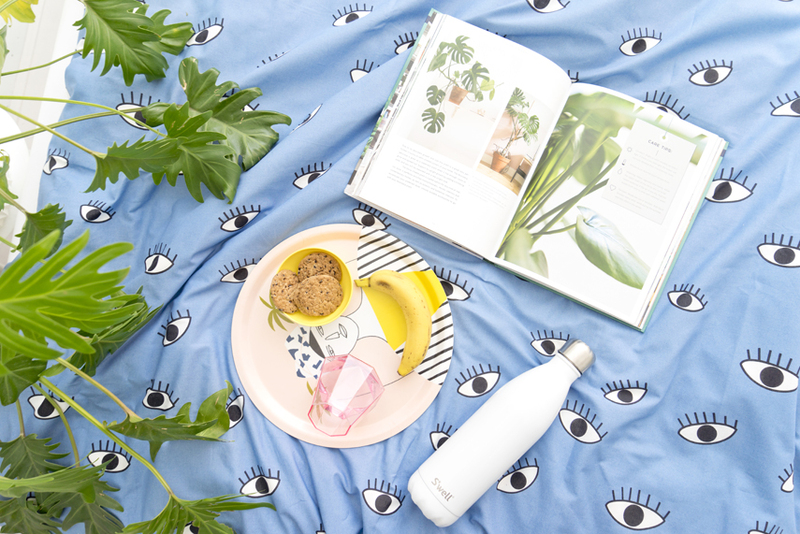 Urban Outfitters products used by Judith: Eye bedlinen / Good Vibes bath mat / Cork globe / Cactus wine glasses / Pink diamond glasses / Console table / S’well water bottle. 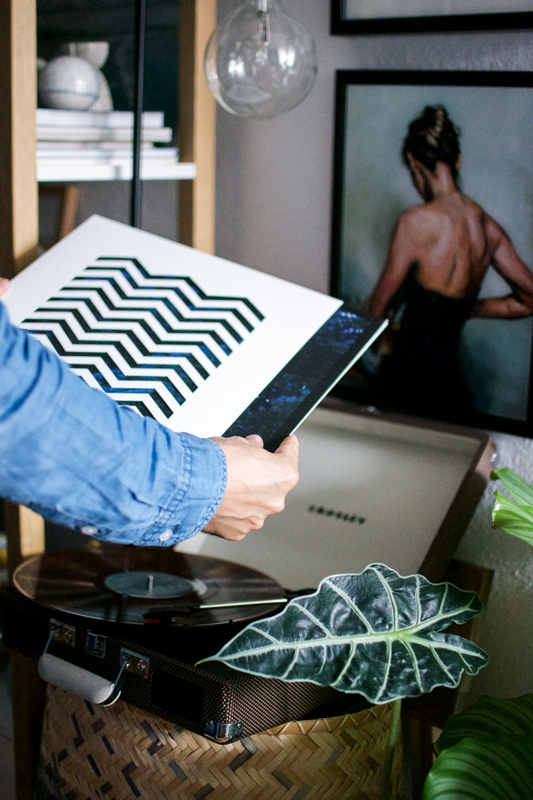 Urban Outfitters products used by Igor: Cacti bedlinen / ceramic cup / scented candle / brass hanging planter / banana silk rug / plant stand ‘Zoe’ / Twin Peaks Original Soundtrack vinyl. Thank you to Urban Outfitters for sponsoring this post. As always all thoughts & opinions are our own. Thank you for supporting the brands that help support this blog.